Roll-a-ball tutorial does not work. I have gone through this tutorial from start to finish, following the instructions exactly. Though the ball moves around, the camera will not follow it, and the camera coordinates in the inspector do not seem to respond to the CameraController script at all. but nothing works. I would be very grateful if somebody explain how to make this work, as I have tried every suggestion or alternative code snippet I could find in these forums and elsewhere. The instructions must either be incomplete, or incompatible with the latest version. It would be nice if Unity could look at this. Nothing is really jumping out at me at first glance. Can you post the player controller script as well? @pdbarro67 The issue that you are having is that you did not add the Player GameObject to the CameraController script. 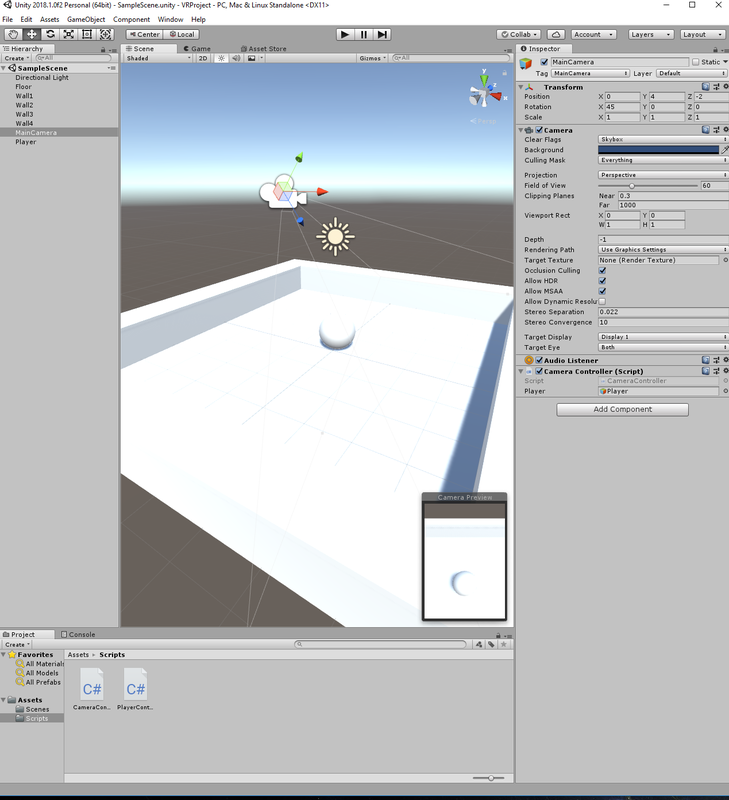 To do that, go to the Unity editor and select the "Main Camera" object. In the Inspector, look for the Camera Controller Script. If you look at the Camera Controller script, under Player, you will see that there is no object referenced in the Player game object slot. 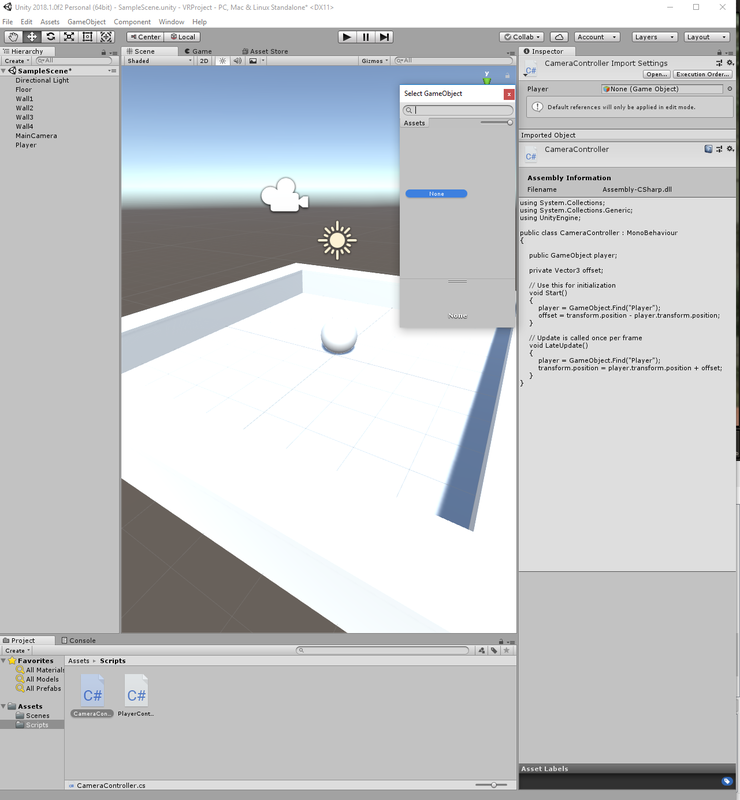 All you have to do now is left-click and drag the Player GameObject from the Hierarchy, and drop it on the Player slot in the Camera Controller script. Hope this solves your issue. Thanks very much for the suggestion. I have tried it, however it will not let me drop "Player" from Hierarchy into the Player slot. I get the little "No Entry" cursor saying it can't be dropped there. I tried the alternate way of using the little dialog accessible from the little button to the right of the Inspector Player field, but get a null list (see picture). I also tried adding a "Player" Tag to Player in the Inspector. No luck.